Looking to dine somewhere new? From a brand-new desserts spot to a relocated breakfast and brunch place, read on for a list of Fayetteville businesses that have opened their doors this year. 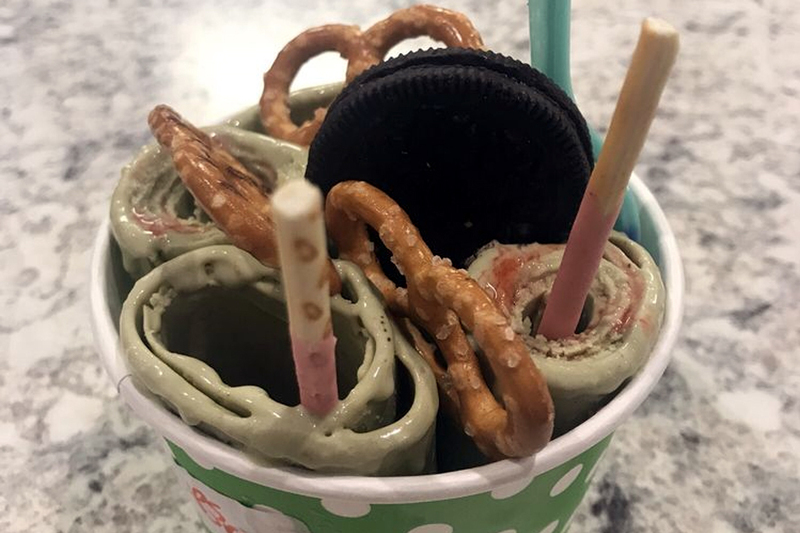 Icemazing is serving up poke, bubble tea and frozen desserts at 1926 Skibo Road. 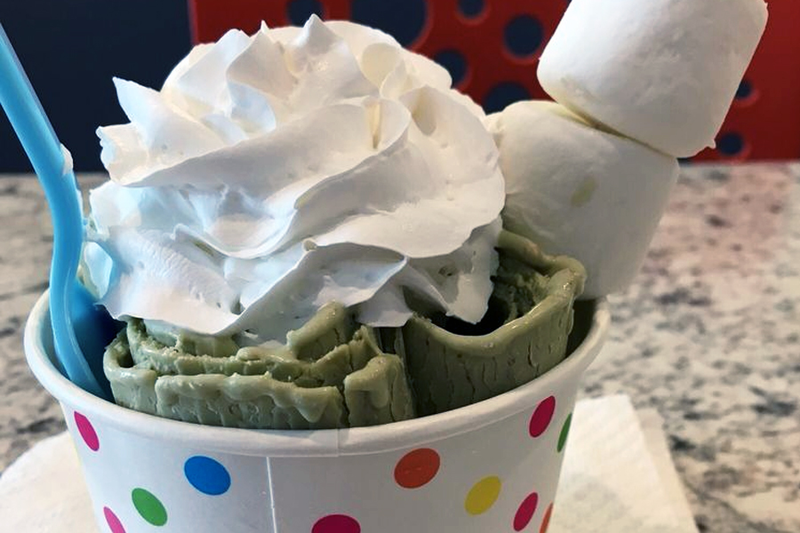 Rolled ice cream flavors include Key lime pie, banana and graham cracker, ginger lemon cracker, green tea and syrup, mango, coffee and more. Thirsty? Bubble tea options include Thai iced tea, jasmine green tea, taro, coconut, strawberry, almond, chocolate and vanilla. Yelper Cathy S., who reviewed the new shop on Aug. 20, wrote, "We got the ice cream here. The portions are big so be prepared. We enjoyed watching them prepare our treats. The staff was very friendly and helped us understand the process. My daughter keeps asking to go back." Stroll past 2770 Freedom Parkway Drive, Suite 1, and you'll find Baby Garlic Bistro, a Mediterranean spot that debuted earlier this year. The menu includes grilled chicken and eggplant Parmesan with the chef's choice of pasta; grilled dry-aged rib-eye with sauteed onion and mushrooms, served with beer-battered french fries; and leg of lamb stuffed with rosemary, garlic, spinach, walnuts, black currants and Parmesan risotto. For dessert, check out the chocolate souffle, banana chocolate swirl cake and baked apple tart. K & W Cafeteria has brought its Southern fare to a new location at 1758 Owen Drive in the Bordeaux Center. The regional chain's local outpost made the move from Village Drive to a new space that features the familiar cafeteria setting and a second area that's focused on takeout orders, the Fayetteville Observer reported earlier this year. 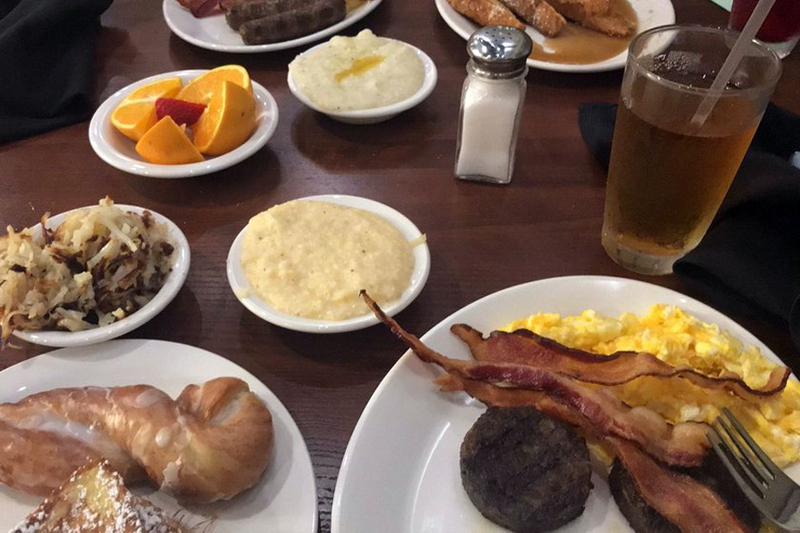 At this local favorite, try the cheesy grits, freshly made waffles or the Breakfast Feast special with three pancakes, two eggs, grits or potatoes, biscuit or toast, three slices of bacon or two sausage patties or links. 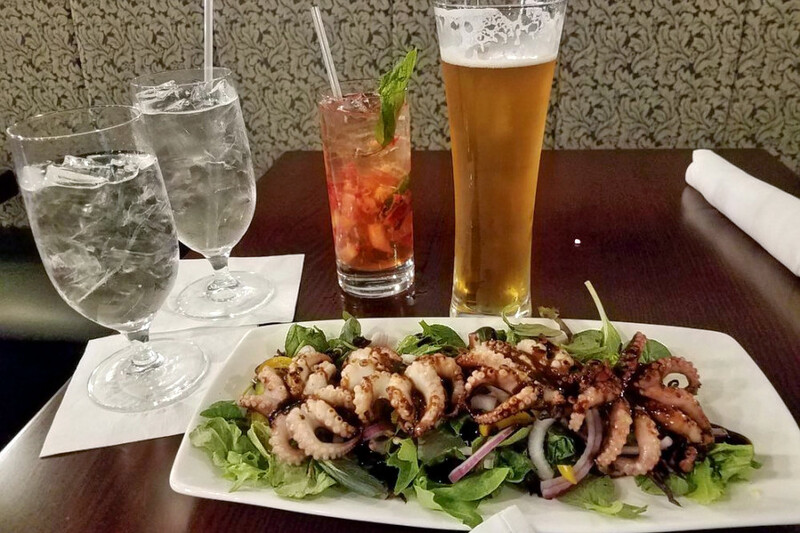 Yelper Jan G., who visited on Aug. 13, wrote, "I did miss the old place when we came this time, but the new place was amazing -- real upscale while at the same time that good ole home feeling. The service was great, it was nice seeing the management in the dining area talking with guests as well as helping the staff."